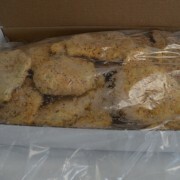 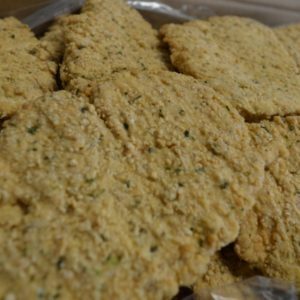 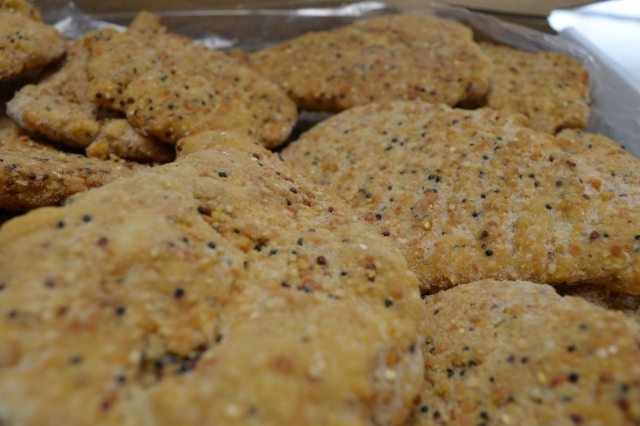 PERFECT CHICKEN TREAT ,GLUTEN FREE, CUSTOMER FAVOURITE LOTS OF FLAVOR. 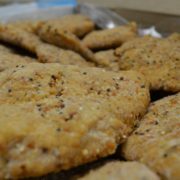 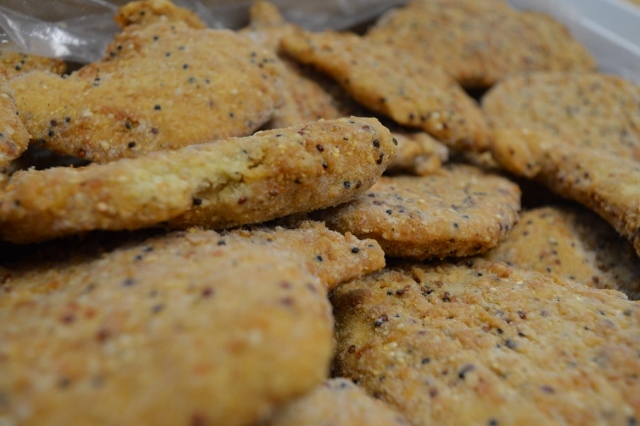 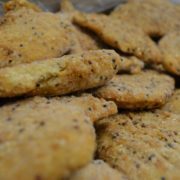 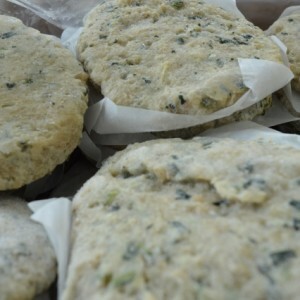 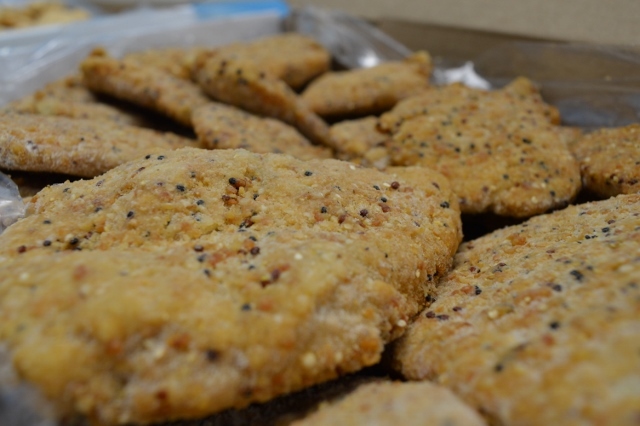 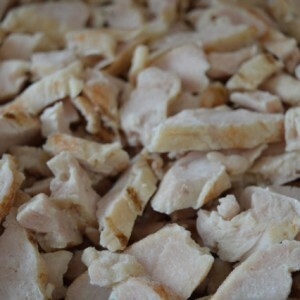 Chicken breast, water, salt, pea hulls, sodium phosphate, dehydrated garlic, In a coating of: Quinoa seeds, modified corn starch, corn meal, rice flour, soy flour, soy protein isolate, yellow corn flour, defatted soy grits, salt, sugar, dehydrated garlic, natural flavour, dextrose, guar gum, dehydrated onion, spices, extractives. 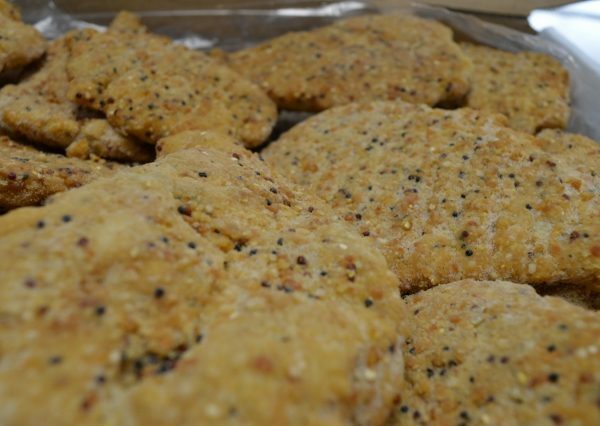 Browned in soybean oil. 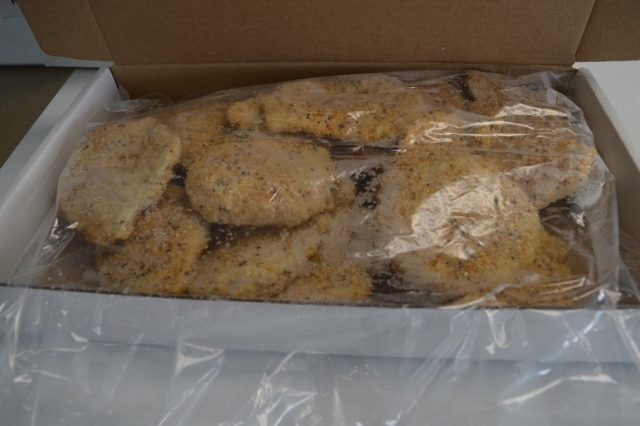 Bake frozen 425F 20-25 minutes.